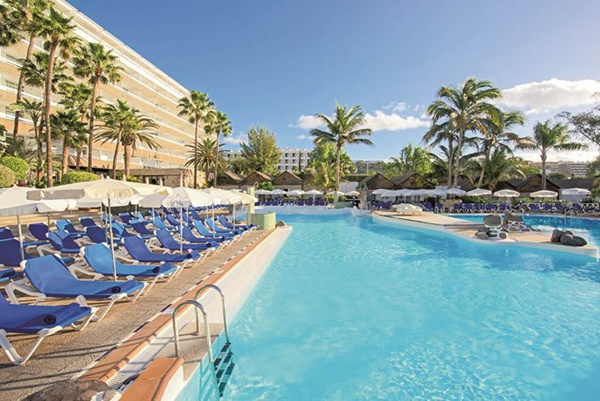 If you are looking for a beach hotel for ADULTS ONLY and a great destination for couples, with sun and beach weather all year round, the Hotel Costa Canaria Gran Canaria is without doubt an excellent choice. 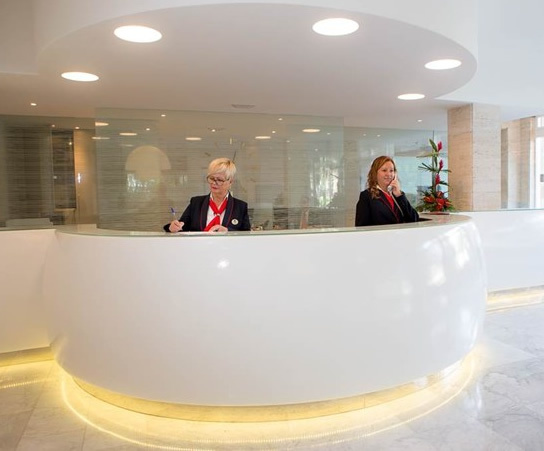 The Hotel is situated on the south east coast of the beautiful island of Gran Canaria and right by San Agustin beach, a stretch of fine dark sand which is almost a kilometre long. The hotel has a total of 235 rooms these include 219 double rooms, 11 bungalows, 4 VIP Bungalows, and a presidential suite. All rooms are well equipped; the spacious standard double rooms have two single beds side-by-side, balconies and sea views. 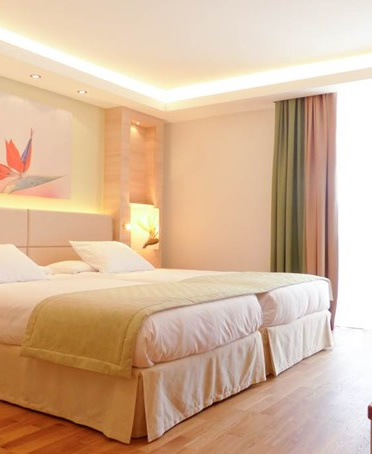 All rooms at the Costa Canaria are equipped with a telephone, piped music, satellite TV, air-conditioning, mini-bar, safety-deposit box hire, full bathroom with shower, toilet, hair dryer, and an environmentally-friendly towel change system. Bungalows at the Hotel have been carefully designed with all, the comforts of home in mind, they have a living room, dining room, terrace and up to four beds. Like the hotel rooms they come equipped with a telephone, piped music, satellite TV, air-conditioning, mini-bar, safety-deposit box hire, a full bathroom with shower, toilet, hair dryer, and an environmentally-friendly towel change system. 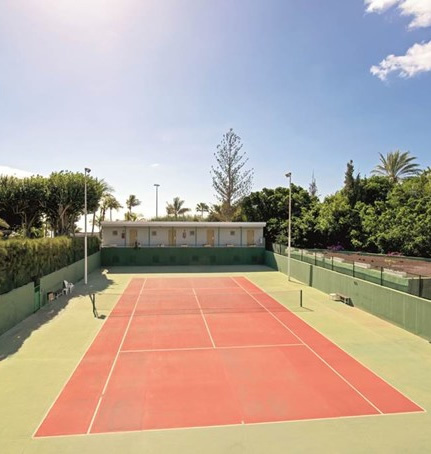 The hotel provides a wide choice of cuisine and board arrangements (including all inclusive), including local specialities from the Canary Islands, Spain and international dishes, which you can enjoy in a comfortable and relaxing environment. The Hotel Costa Canaria restaurant is equipped with air-conditioning to make your stay more comfortable and it also has a terrace. As normal the hotel asks gentlemen to wear long trousers for dinner. 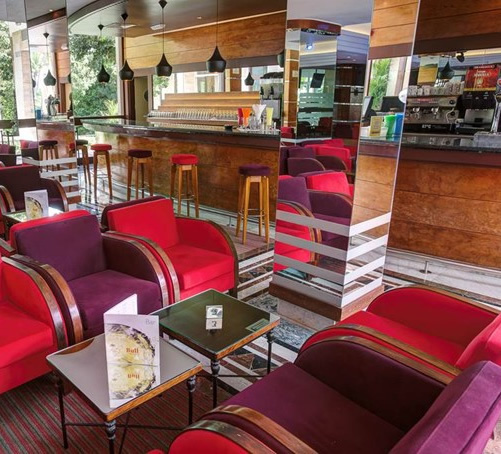 The hotel also has several bars including the pool snack bar for refreshments during the day and the salon bar open 6pm to midnight. As the hotel is adults only the entertainment programme and facilities have been created with adults in mind for both activity and relaxation. The hotel has a large team of professionals offering evening activities, such as live music 6 days per week, a dancing night and professional shows three times a week, in addition to games and many competitions. For guests that like to relax and DE-stress on holiday the hotel has a health and beauty centre (with Sauna and Jacuzzi among other services) and Thai Zen Space, a new spa and wellness concept, combining therapy from the Far East with a wide selection of care and treatments for the body, mind and soul. The facilities are enviable too, if you need internet facilities the hotel has a cyber cafe and Wi-Fi connection is available in common areas of the hotel, for sport; there are two swimming pools, fitness centre, aerobics, carbine shooting, archery, billiards, darts, volleyball, table tennis, cycle hire, tennis and golf. The hotel has negotiated reduced green for its guests at the following courses: Lopesan Meloneras Golf, 7 kilometres away; El Cortijo Club de Campo, at 20 kilometres; Club de Golf Maspalomas, at 3 kilometres; Club de Golf Bandama, at 50 kilometres; Salobre Golf, at 6 kilometres and Cortijo Golf Centre, at 20 kilometres away.